The Essential mattress by Dorel Signature Sleep is designed with all the necessary features a mattress can offer to assure that we provide you with a perfectly sound sleep, night after night, year after year. 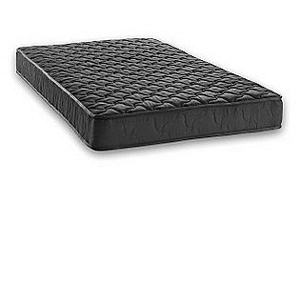 This 6 inch innerspring coil mattress contains 216 sturdy 13.5 gauge tempered steel coils, on top of which rests cushioning layers for dream-worthy comfort; two 100% polyester insulation pads, and two foam layers are found above and beneath the coils to protect them, but also to provide the necessary resilience so that you never feel the coils, even after years of use. Our prices allow you to sleep soundly, but our comfort gives you something to dream about!